Why does your ear feel clogged after surfacing from a dive? Upon surfacing from a dive, your buddy starts shouting how awesome was that. Did you see that shark! Yet all you could hear was the swooshing and swishing sound in your ear and the muffled voice of your friend. It feels clogged and there is discomfort. You start pulling your earlobe, use your finger digging your ear. The first thought that crosses your mind is that your ear is not equalized, so you did a Valsalva. You realized that it does not help. Therefore, you start doing funny things to your ears until you feel water start dripping out of your ear. You felt relieved and could hear properly. Your buddies will just stare at you with a weird look and be thinking what had just happened to you. How many of you have had this situation before? I believe many of you have had this situation before. So what has happened to your ear? Most divers will think that it is because they did not equalize properly while diving. Well, this is partially true. So when you are diving and you feel discomfort in your ears because of the change of the pressure. You would equalize your ears by doing the Valsalva method. When your ears feel discomfort during a dive is because the pressure in the surrounding ambient is greater than the pressure from the inner ear. It pushes the eardrum inwards. So when we equalize either by the Valsalva method or shifting your jaw, we are actually creating an air pressure to push the eardrum outward so that it is flat. Now, you are thinking how do the air and water come into the equation. Simple. When you are equalizing, air from your outer ear canal is being compressed hence, allowing water to flow in. 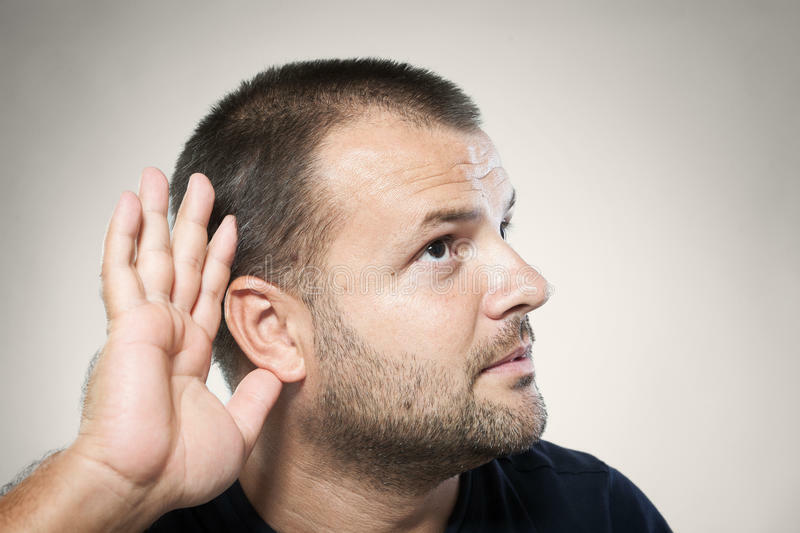 Imagine your outer ear canal as a closed cylinder, there is a mixture of air and water in it. When you start swimming freely underwater, you will turn around looking at all the fascinating and beautiful marine life. The water will get trapped in the ear with the air pressure keeping in it. Upon surfacing, the trapped water in your gets trapped in your ear. Wait a minute! When we surface won’t the air pressure and the surrounding air pressure be the same. This would mean that air would not be trapped the water in the ear canal. Have you seen a water strider running across the water surface? Ever wonder why? According to Wikipedia, surface tension is the elastic tendency of a fluid surface which makes it acquire the least surface area possible. surface tension allows insects (e.g. water striders), usually denser than water, to float and stride on a water surface. It is also because of the surface tension, water will be trapped below. So this is what happens when water gets trapped in our outer ear canal. It will still be stuck even though there is no pressure holding it in the ear canal. The reason is that the water has a surface tension that is holding it together. However, imagine if your outer ear canal is like a straw, it has a smooth surface and allows cylinder of water flow through it. Water not be stuck in it. The bad news is, our outer ear canal surface is not as smooth as the straw. In fact, the surface is uneven and this is why the surface tension of the water is strong. Hence, the water gets clogged in our outer ear canal even when there is no water/air pressure pressing against it. This is the reason why when you have clogged ears, you will keep jumping around. This is to break the water surface tension so that you the water could flow out. Is there any solution to prevent this problem? An apple a day keep the doctor away. Prevention is always better than cure. Let me introduce you to Ear Shield. As its name has suggested it is to shield your outer ear canal. One spray and it will create a layer of oil coating the outer ear canal, making it smooth like a straw and water would not be clogged in the ear easily. 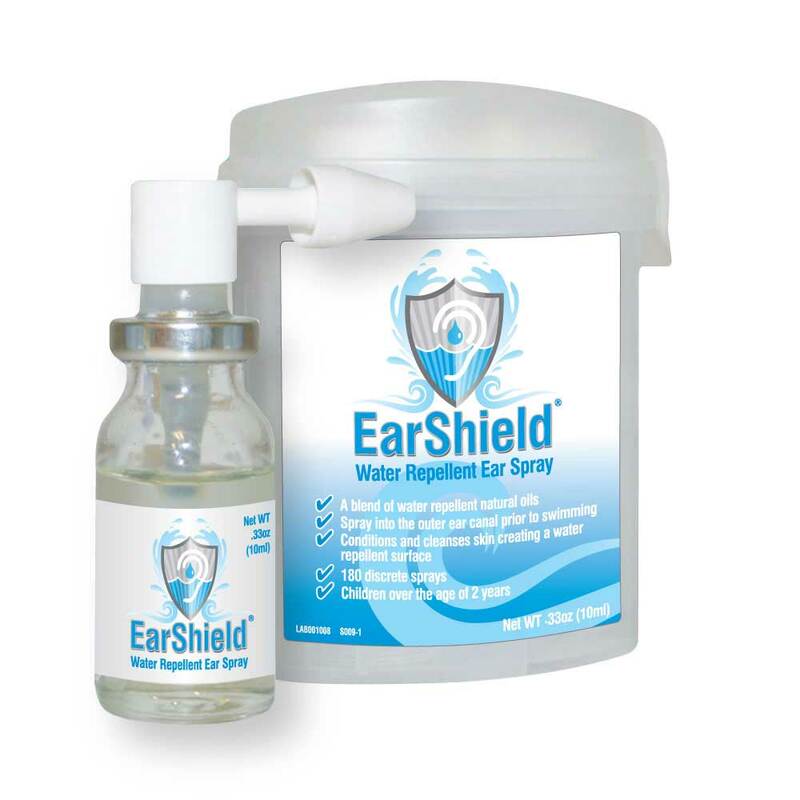 EarShield is a personal skin care cosmetic spray for conditioning and cleansing of the ears prior to water-based activities. Delivering a fine metered spray of a unique blend of water repellent Olive, Mineral & Tea Tree Oil into the outer ear, finely coating the auditory canal, giving a conditioning water repellent and cleansing action. Each spray contains approximately 0.05ml of oil solution and should be sprayed into the ears prior to entering the water.